Ah, that satisfying moment when the title of the film and the title of the blog sync up a little. Hello everybody and welcome back to Free Film Friday, your weekly exploration of the public domain. When you’ve had a long, hard week, I hope you can find some relief in a slice of cinema which is completely free to watch without infringing any copyright laws. I wanted to bring you something really special for this first post of the new year and to my surprise I found that one of the all time great Hollywood comedies is sitting right there in the public domain for all of us to enjoy. 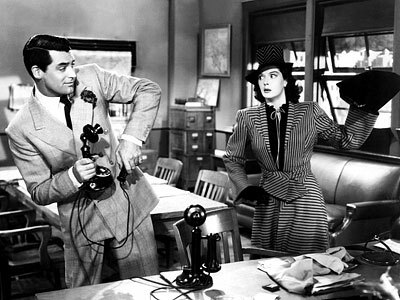 His Girl Friday came out in 1940 but is still as dazzlingly funny a comedy today as it was then. A lot of this is down to a superb combination of dialogue and timing. Leads Cary Grant and Rosalind Russell bounce off each other in a display of extraordinary screen chemistry, and in an effort to make their speech more realistic there is a lot of overlapping and cutting each other off, giving the film a vibrant pace. What I like about this movie is the spectacle of grand farce which it exudes despite the story and the setting being fairly realistic. That is all down to the suave and playful nature of the leading characters. They have a witty answer for every situation, and their most cutting remarks are saved for each other. There are a couple of geeky reasons for the significance of this film. On a pure comedy basis, there are a couple of naughty in-jokes from Cary Grant which will provide the eagle-eyed cinema connoisseur with a chuckle. But more intriguingly, this quite brilliant comedy also proved to be an influence on another great genre of the day. Throughout the 1930s the Noir genre was undergoing genesis through various early Hollywood prototypes as well as in the German Expressionist Movement. Howard Hawks, the director of His Girl Friday would go on to direct archetypal Noir The Big Sleep in 1946, a film which featured a trademark known as the “Hawksian Woman”. Defined as a strong female character who is more than capable of holding her own and even displaying dominance against her male counterparts, the Hawksian Woman shares many traits with the Femme Fatale of Noir tradition. Rosalind Russell’s character in His Girl Friday is a Hawksian Woman, and in many ways Russell’s performance in this film can be counted among the early pieces of the Noir genesis which would culminate with the release of the 1941 archetypes Citizen Kane, Suspicion and The Maltese Falcon. 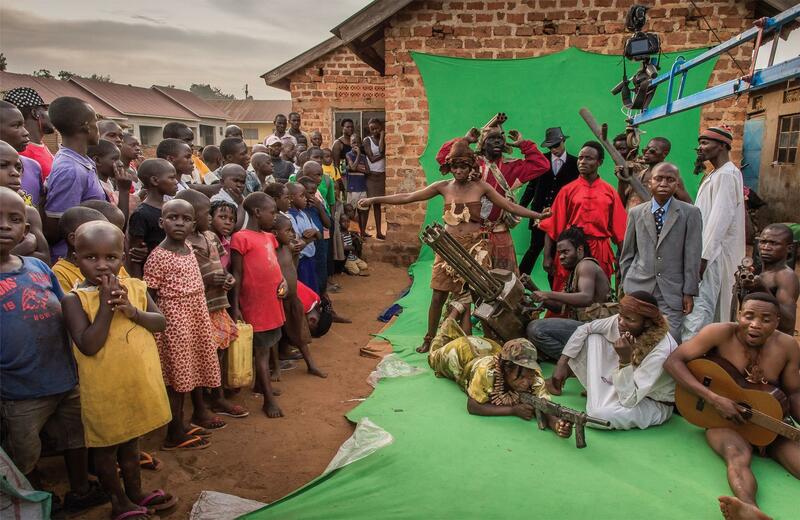 Much of Hawks’ influence on contemporary cinema can be seen in this film as well. Contrast the quick witted and frenetic dialogue of His Girl Friday with the way that characters converse with each other in a Tarantino movie for example. 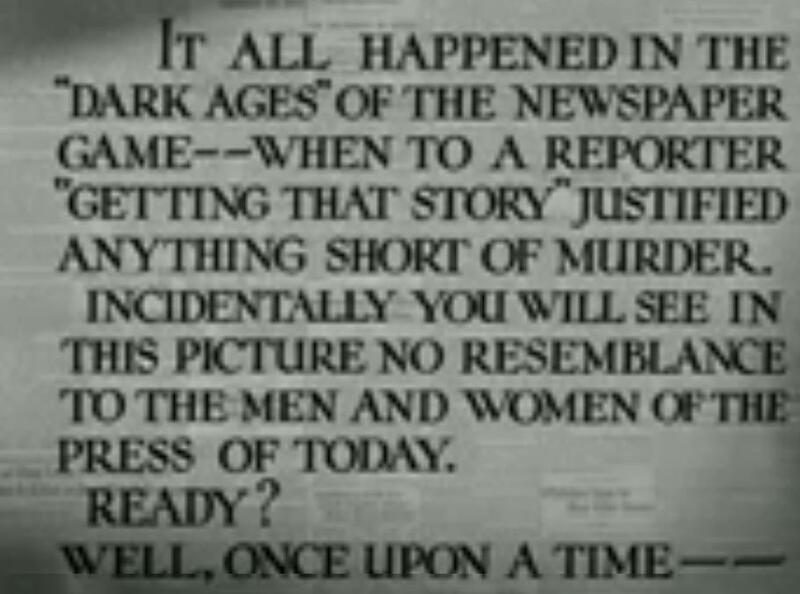 Also, am I the only one that found ironic humour in the film’s opening titles, especially in light of what we have been discovering about journalism during the last couple of years? All analysis and my own personal geekery aside, I invite you to watch this film because it really is a great laugh. I think you’ll enjoy this and if you don’t, well hell it was free! See you next week!